The transition from Contemporary Blues to Rock Blues feels like a natural progression, so that's our category du jour in this continuing series dedicated to examining the nominees in next month's Blues Music Awards in Memphis. 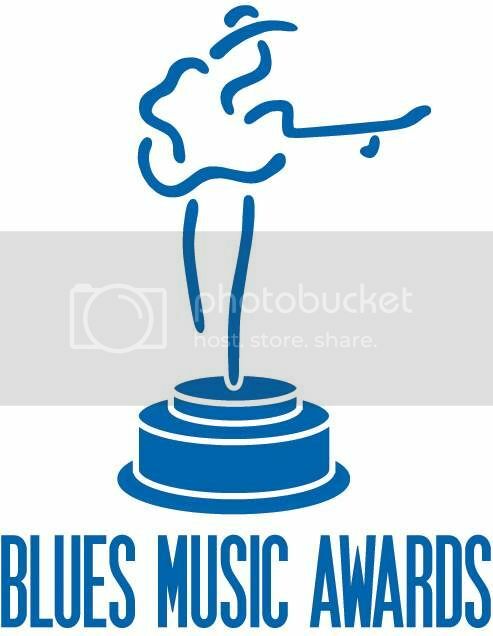 The Rock Blues category is relatively new to the BMAs and probably rankles some of the purists. I tried hard to lose my purist leanings but they linger. Philosophically, I don't like this category. It doesn't outrage or anger me but I wouldn't have this category if I were the Grand Poobah of the Blues. I'm not. Yet. All category definitions get arbitrary at some point when you're dealing with music and art but this one feels especially nebulous. How much rock and roll isn't based in blues? How much blues influence do you have to flash to qualify? Whatever misgivings I have about the category itself, I feel very comfortable as a voter because I not only listened to each of the nominees but also reviewed them. The Steve Miller Band record is a lot of fun. He knows his blues and he works that into his mix while maintaining the FM sound of classic singles. This is his first nomination at the BMA. Walter Trout is a master craftsman who is no stranger to BMA voters. Common Ground offers a nice balance of blues and rock and possesses several excellent songs. It should be noted, however, Trucks' studio album Already Free won this award last year so I might be in the minority on that. Kenny Wayne Shepherd and Derek Trucks Band are both nominated for live albums. Shepherd brought blues luminaries Willie "Big Eyes" Smith and Hubert Sumlin to the stage on his set and mixed some great covers with some of the better songs from his own oeuvre. Derek Trucks Band is a group of telepathic, virtuosic musicians and the playing is impossibly good but the songs are sometimes lacking. I love Nick Moss' Privileged record more today than the night I wrote the liner notes for it. I've spent more time listening to it than any of the other albums and it's the album I most often go back to. It might be the best thing he's ever done. I've come close to declaring it so but my respect and love for his other recent releases leaves me standing right at that ledge, reluctant to commit. I experienced no such reluctance when I cast my ballot for Privileged.